Here’s how you can be even more ironic than your ironic mate who does nothing but ironically play ironic 1970s children’s TV programme theme tunes all day – buy yourself a set of the deeply ironic posters based around 3.5″ discs. 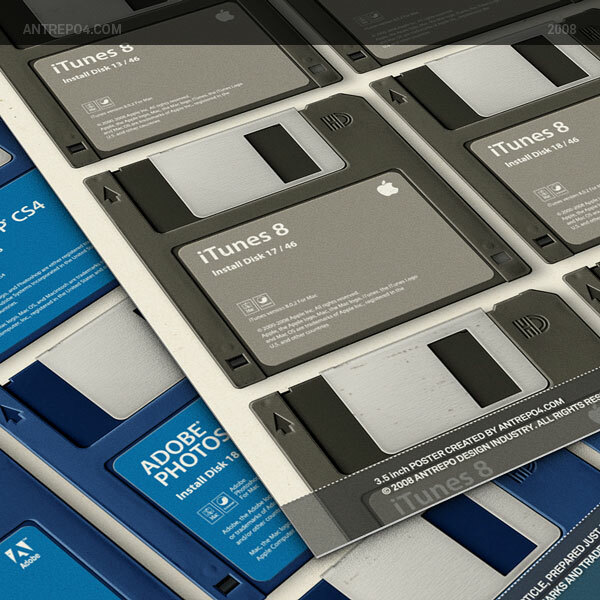 Ironically imagining what it would’ve been like had iTunes or Firefox launched in the 1980s and been distributed on floppy disks, these ironic posters will ironically enhance any ironic modern living space. They also feature the right number of discs required to fit today’s modern apps – iTunes 8.02 would need to be spread across 42 floppies, for example.